We are so delighted to announce that we will be supplying the official caterers of The Championships, Wimbledon with our delicious Sutton Hoo Chicken for the fourth year running! Sutton Hoo Chicken are listed on the official Wimbledon website in 'Our Ingredients' section alongside some of the very best food and drink producers in Britain and can be found online here. 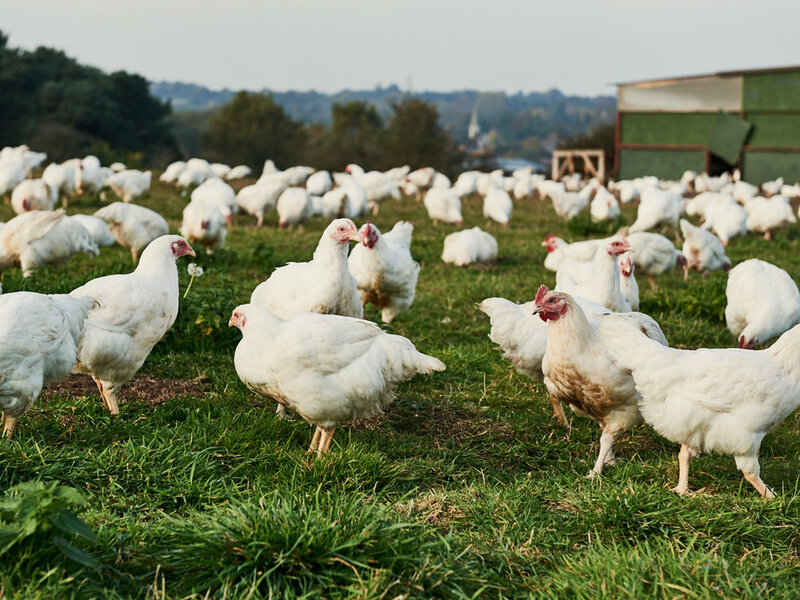 We have always been proud of our high quality and original ethos of free range, and truly believe that a slower grown, naturally maturing chicken develops a fuller and more succulent flavour. Our birds are fed an additive free diet with no antibiotics or hormones and are reared on average for 10 weeks, making them 25% longer than standard free range chicken and 70% longer than standard indoor chickens. As many regular visitors know, Wimbledon is not just a celebration of tennis, but also an event that parades the very best of British produce. Whether you’re looking for a light bite or a leisurely lunch between matches, Wimbledon offers plenty of options that are high quality, seasonal, sustainable, and responsibly sourced. Sutton Hoo Chicken will be available in The Baseline and The Walled Food Market at The Championships, Wimbledon 2018. Visitors can also enjoy one of the most quintessentially English traditions; the Wimbledon Afternoon Tea comprising classic reception sandwiches, Devon scones served with clotted cream and strawberry jam, a selection of tea pastries. The fortnight of tennis takes place at the All England Lawn Tennis and Croquet Club in Wimbledon, London from Monday 2nd – Sunday 15th July. If you’re attending the tennis, keep a look out for Sutton Hoo Chicken on the menu. Throughout Wimbledon fortnight, if you share a photo enjoying our Sutton Hoo Chicken on Instagram tag us @suttonhoochicken and you will automatically be entered into our prize draw to win a pack of our chicken burgers and chicken sausages. You must be following @suttonhoochicken in order to win.